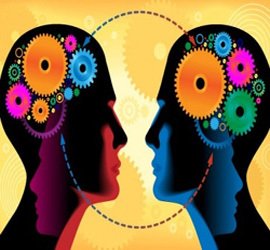 Vastu Shastra is increasing in popularity these days as a conceptual science that helps in creating harmonious settings at homes and places of work. The origin of this science of architecture and directions, however, is not very new. The first reference of this science dates back to the Vedas. Hence, it can be said that Vastu Shastra as a science has evolved thousands of years back. Aparajita Priccha (a dialogue between Viswakarma and his son Aparajita, written by Bhuvanadevacharya) Silparatna. There is a distinction of style based on the place of origin of the Text. Mayamatam and Mansara Silpa Shastra are considered Dravidian because they are from South India whereas Viswaskarama Vaastu Shastra is considered Aryan due to its North Indian origin. Mayamatam and Vastu Prakash have been found to be the best because of their comprehensiveness and coherence. 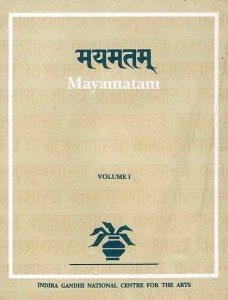 Mayamatam was edited by the hierarchy of Architects known as the Mayasuras while Vastu Prakash was edited by the renowned and most respected Architect of ancient India, Acharya Vishwakarma. Though, Vastu Prakash is a notable Text, it is an individual’s concept and has it’s limitations whereas the Mayamatam is a hierarchy which originated from the Ramayan era to the Mahabharat era and beyond. Therefore, Mayamatam as a concept has a span of hundreds of years and has evolved over the centuries and is considered the most relevant today. The earliest Vastu principles had been framed by observing the rays of the sun at different times of the day. 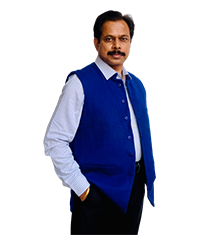 The study of Vastu incorporated within itself principles related to architecture, construction and sculptures. This science has been referred to in various epics of that period including most of the ‘Puranas’. Vastu has also been referred to in the most popular epic of ancient times, the Mahabharata. In the epic, Vastu guidelines have been made use of for constructing palaces of kings and rulers. Buddhist texts have also made various references to Vastu Shastra. It is a prevalent tradition by which the knowledge pertaining to Vastu Shastra is passed from a particular generation to the next. Modern historians including Havell, Cunningham and Ferguson have conducted extensive studies regarding the origins of Vastu Shastra. On the basis of their studies, it is known that the science originated sometime around 6000BC. The subject was purely technical and hence its usage was restricted to architects only. 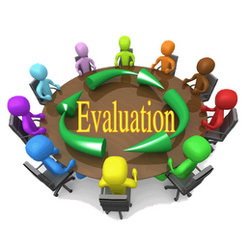 The knowledge was passed down the line using oral teaching methods or through monographs that were hand written. Ancient literature points to the fact that Vastu Shastra was regarded as a science that was used for constructing temples and palaces of kings. Initial literary references can be traced back to the Amarakosa, a dictionary in Sanskrit that Amara Simha had written. It has also found strong mention in most Puranas, including the Garuda and Vishnu Purana to name a few. Other than these, various epics, including Brihatsamhita, Aparajita Prutchcha and many more has helped shaped the science of Vastu Shastra. References to Vastu Shastra have been found in the great Indian epic ‘Ramayana’ also. The construction of the holy city of Ayodhya, the capital of the kingdom of Lord Rama, shared a similarity with the plan written in the great architectural text ‘Manasara’. Even the ‘Ramsetu’ of ‘Ramayana’ was based on Vastu principles. The Mahabharata is regarded as the biggest and one of the most popular epics of ancient India. It has been said that Indraprastha, the city that had been built for the Pandavas, had most houses constructed using this science. The houses that had been constructed in those cities stood tall and looked majestic. The houses had been kept devoid of obstructions, and the compounds had high walls with uniform heights. The doors were decorated with metal ornaments. Even the ‘Maya Sabha’ of the Mahabharata was built according to the ancient principles of Vastu Shastra. It is believed that it was built as per Vastu Shastra by the great sculpture called ‘Mayan’ and was square in shape. Buddhist literature also makes numerous mentions of buildings based on Vastu. There is a mention of various ‘viharas’, temples, houses, buildings in the various Buddhist texts, based on Vastu. It is said that Lord Buddha used to deliver discourses on architecture and he was very much conscious of the construction of the buildings in order. Lord Buddha was a firm believer of these principles of architecture and often made references to this architectural science in his teachings. In fact, one of the course tipss that he gave to his disciples was to personally supervise all activities related to construction of buildings. Excavations in the ancient cultures at Mohenjo-Daro and Harappa also indicate the influence of Vastu on the Indus Valley Civilization, which shows some specific following in construction and planning. They followed certain basic rules in these cultures and very much similar and comparable with the Vastu Shastra of Indian origin. 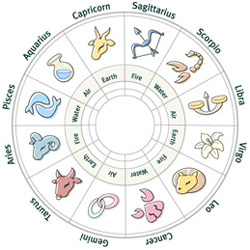 The word “VASTU " has been derived from 'VASTOSHPATI' used in 'Rig Veda' (one of four Vedas –sacred ‘shlokas’ in Hinduism) and is meant to provide protection, happiness and prosperity in this life as well as after death. In the ‘Matsya Purana’, following eighteen scholars of Vastu Shastra have been mentioned. They are Bhrugu, Atri, Vasistar, Viswakarma, Mayan, Naradar, Nagnajit, Visalakshan , Purandaran, Brahma, Kumaraswamy, Nandikesawaran, Sounakar, Bhargavar, Vasudevar, Anirudhar, Sukran and Brahaspati. Even though many ancient books are available, they contain information and formulae for constructing palaces and temples only. May be during those days these rules were not followed for small houses or not reachable to common peoples. Many such important principles and ‘Shastra’ were kept as secret and provided only for the kings and ministers in ancient times. 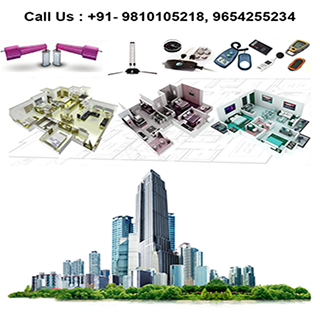 The science of Vastu is considered an integral part of the Indian architecture. This science developed during the period of 6000 BC and 3000 BC as mentioned earlier. Being a technical subject, it was confined only to the architects and handed over verbally or in the form of hand-written monographs. The principles of construction, architecture and sculpture, as enunciated in the treatises on temple architecture, have been incorporated in the science of Vastu. From ancient literature, we gather that Vastu was treated as the science of construction of temples and royal palaces. This book was written during ‘Guptha’ kingdom by Varahamihira. This great work has hundred and six chapters, about all subjects of human life. ‘Vastu Vidya’ comes as the 53rd chapter of this book and it is one of the largest chapters. It describes formulae for the construction of bungalows, palaces, art works, etc. This book was written by Viswakarma and period is unknown. It contains lot of calculations and formulae for constructing palaces, temples, and sculptures according to Vastu Shastra. A king named Bhojan during 11th century wrote this book. It describes various methods of architecture, engravings, construction methods of temples and paintings. This book is supposed to have been written during 15th century. This book was written during 12th century and may be later to the book ‘Samarangana Sutradhara’. It describes Vastu Shastra principles and formulae as a question and answer type. The discussion is between Viswakarma and his daughter Aparajithai. Thirumangalathu Neelakandan Moose wrote this book in AD 16th century. The precious volume contains the scientific principles of Vastu construction of houses. Chennaas Narayanan Namboothiripad wrote this book in AD 15th century. The renowned volume specifies the implementation of Vastu in Temple constructions. This was written in olden days in South India and explains Vastu principles to be followed in building houses. Mayan wrote this book in AD 11th century. It is an inevitable reference to Temple construction, building of houses and ascertainment of plots. It contains only the voluminous descriptions of Vastu Vidya calculations. 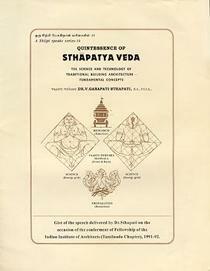 Viswakarma, the ‘Deva Shilpi’ (Principal Architect of Gods), wrote this book. The period is unknown and it describes lot of formulae for the construction of temples and sculpture, and explains principles of living. These are writings on interior decorations of Temples by Sreekumaran. Few other great ancient books based on Vastu Shastra are Brahmana Manjari, Vasturaja Vallabham, Vishnu Dharmottara Puranam, Mandana Sutradhar, Rajasimha Vastu, Deeparnava and Kashyapa Shilpa. 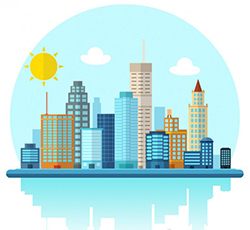 An aspect that needs particular mention is that even modern architectural experts have been mesmerized by the significant planning that was involved in the construction of towns and cities in ancient times. Therefore, the rich traditions of Vastu Shastra have been in place for thousands of years and have always been regarded with utmost importance.